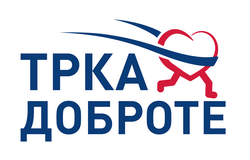 Competition name: The 2nd Belgrade Half marathon. 1. Runners arrive to the PRE-START ZONE – Nikola Pašić Square – from 08:00 and not later than 09:30. 2. Runners change in the appropriate tent, and give their clothes to volunteers in WARDROBE AREA. Volunteers place clothes in bags which are marked with start numbers of runner and put them away. The clothes will wait for runners in the tent after the end of the race. Runners will pick up their clothes according to their race number. In the pre-start zone runners can use medical aid and toilet facilities. 3. Every participant must have the race number under which he or she is registered – otherwise he or she will be disqualified. Race number must be placed on chest area. 4. Every runner (marathon or half marathon) must be in the START AREA by 09:45 latest. When taking start position, the elite runners stand just behind the start line, while the others must stand behind the “human wall“. 5. Runners at the start area must follow instructions of the official announcer and referees. Runners whose conduct disturbs the schedule and general order will be removed and disqualified. 6. At 10:00 a siren will mark the start of the race. 7. Each participant in the marathon race must pass the check points on the course. If a participant is not registered at check points for whatever reason he or she loses the official finishing place and time. 8. Time limit for both races is 3 hours. 9. Runners who are unable to finish the race may approach the nearest medical unit or refreshment point staff along the course and wait for the transport to the PRE-START ZONE or (if necessary) to a medical institution. 10. At the entrance of the finish zone (about 400 m before the finish line) the separation of half marathon and 10K runners begins. Half marathon runners run on the left hand side of the street and enter the gate on the left side, while 10K runners run on the right hand side of the street and enter the gate on the right side. 11. Both, 10K and half marathon runners who finish the race, will get the medals. Exiting the barrier zone, all competitors will have refreshments, medical aid and toilet facilities at their disposal. 12. Medal ceremony for the open division (men’s and women’s competitions) will be held on the platform at the finish at 11:00 for the 10K race and 12:00 for the half marathon. Pursuant to the law, 20 percent of each prize amount will be deducted.